A Best Seller because it’s NOT an ordinary hip kit. 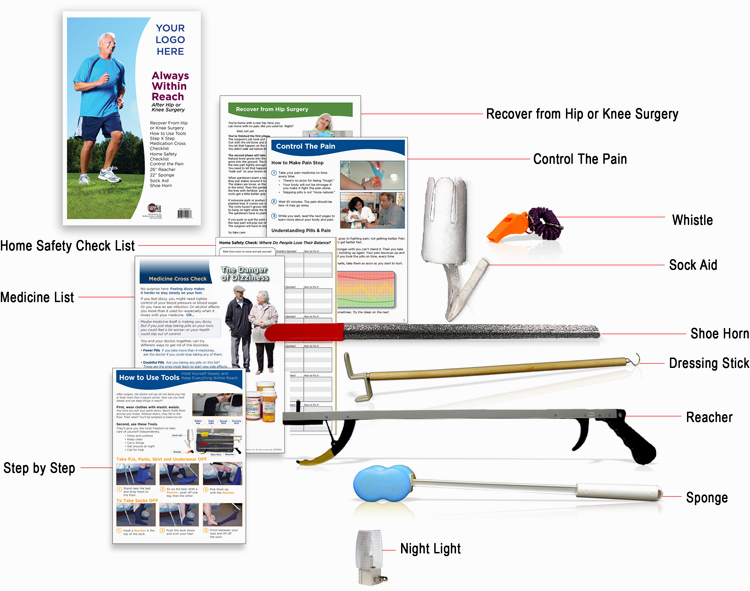 First, the kit has a complete, clinically-vetted set of tools for maximum independence and recovery. Next, the kit contains step-by-step directions on how to use each tool. Large print and color photos, not tiny black-and-white type, make it easy to read and follow. A night light and whistle cover a patient’s most vulnerable times. The kit saves you time! No more running from store to store for the things you need.